In the Baltic States, particularly Estonia, exports since the end of 2010 have expanded much more firmly than expected. Similarly, an upsurge in gross fixed investments has been the main growth driver in Latvia and Lithuania, while household consumption will also gain some momentum at a later stage. 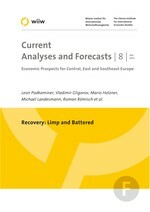 We expect GDP to increase between 3.6% in Latvia and 5.7% in Estonia in 2011. Each of the three countries will grow between 4% and 5% in the two years thereafter, when growth in external demand will abate. Despite faster GDP growth, the situation in the labour markets will remain disappointing for a long time to come.